Less water. Less energy. Less detergent. Cleaner clothes? Today’s High Efficiency (HE) washing machines are called that for a reason. It’s no surprise then that HE machines have become increasingly popular since first making a splash on the market in the mid-90’s. If you’re thinking of making the switch, here are 6 things you should know. 1.HE washers use less to do more. They use at least 50% less water than traditional washers, washing clothes in a shallow pool of water, then using high pressure sprays to rinse them. Because they use less water, they use less energy to heat the water— just 20 to 50% of the energy used by traditional washers, making them energy efficient. Less water and energy = environmentally friendly and budget friendly. They spin faster to remove more water from clothes, so clothes need less time in the dryer. 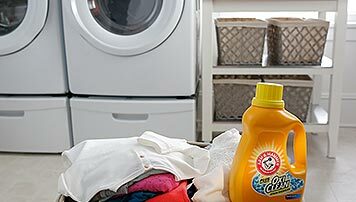 They produce less suds and keep clothes in constant motion as they wash, so experts say clothes get even cleaner. 2.You can do more laundry at one time. HE washers offer more capacity than traditional machines, because they don’t have a large agitator and they use less water. Washing more clothes at once means doing fewer loads! 3.But, HE washers have longer wash cycles. Since they use less water, they take longer to wash and rinse clothes to get them clean. 4.HE washers are gentler on your clothes. Top loaders use spinning, rotating plates or disks to wash laundry, providing a gentler way to clean clothes; many models recirculate water during the rinse cycles. Front loaders tumble laundry through the water while the tub rotates, cleaning clothes efficiently and gently. 5.HE washers require HE detergents. HE washers tumble laundry more in the wash cycle. 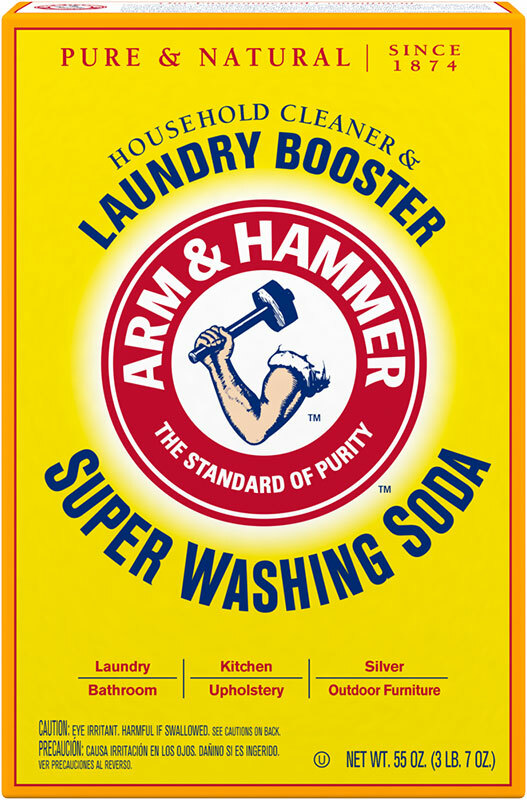 HE compatible detergents like ARM & HAMMER™ plus OxiClean™HE Compatible work in less water, so they’re low-sudsing and quick-dispersing, and developed to suspend soils and dyes in low water volumes, preventing them from being redeposited on clothes. Plus, you use less detergent in an HE washer than a traditional one. To find out if your detergent is HE compatible, look for the HE symbol on the front of the packaging. 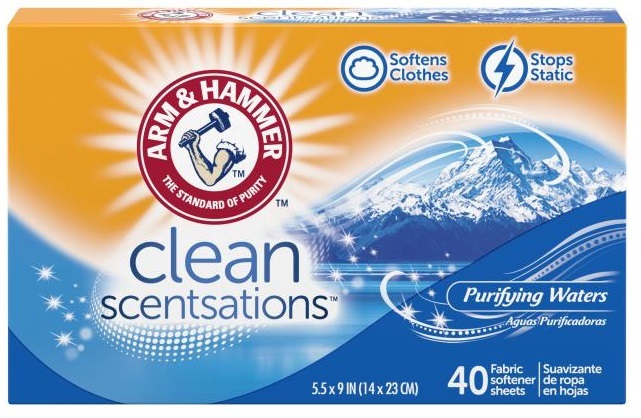 Nearly all ARM & HAMMER™ laundry detergents — from our sensitive skin liquid detergents to our conveniently concentrated power paks — work in both standard and HE washers, for a clean you can count on. 6.HE washers need regular cleaning. Run a maintenance cycle — either as a setting on your machine, or manually — on a regular basis. Check your owner’s manual for the manufacturer’s recommendations. Remove washed clothes promptly after the wash cycle is finished. Keep the door open — especially for front-loading washers — to allow any leftover water or moisture to evaporate. A little definitely goes a long way with today’s HE washing machines. Knowing what to expect – and how to use it more effectively — can make it even easier to make the switch, when you’re ready.